Should I use a professional to draft my LPA? The Office of the Public Guardian (OPG) was set up to protect people who may not have the mental capacity to make certain decisions for themselves about their finances or health. 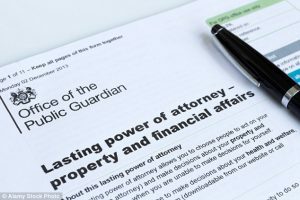 The OPG set up its own online Lasting Power of Attorney (LPA) tool and states on its website that you now don’t need to employ a solicitor. As an LPA is such an important document it’s crucial to get it right. If you get it wrong, the consequences can be very serious. The person creating the LPA is called the donor and the OPG assumes the donor has checked all the information before he/she signs the forms. This means that they do not check if names, addresses or other information on the form is correct. The result is you have spent £110 to register an LPA which could turn out to be invalid. Financial institutions and hospitals may refuse to follow any instructions given by the attorney which could have serious consequences if they need funds or medical treatment. Another potential issue with the OPG’s online tool is that it cannot prove who set up the LPA. There is a risk that a donor, who lacks mental capacity, could be taken advantage of by another person who creates the LPA and dupes the donor into signing it. Getting professional help may cost a little more but you will have the peace of mind that you have an LPA that is valid and enforceable.